Expect a relaxed approach to craft and textiles at this cute craft store and workshop. 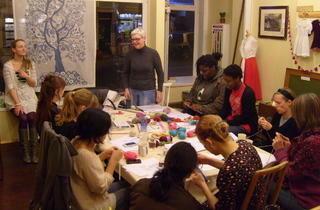 Classes include crochet, needle felting, embroidery, fabric printing and button making among a raft of others. Founders Pascale and Cyrus love local, as well as craft history and you may well find yourself learning how to make fabric buttons while listening to a talk about their provenence from an expert. Fantastic family run business full of quirky finds - Forest Hill's mini Liberty! Lovely selection of hand-crafted gifts, many locally sourced, and craft supplies at the back. 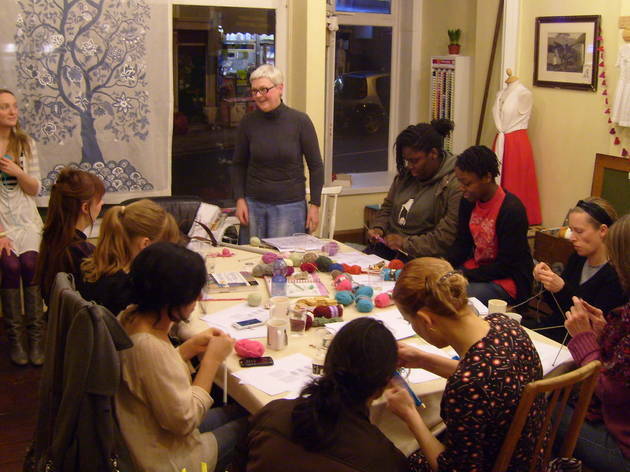 Owner is friendly and helpful and the workshops are a great addition to Forest Hill life. It's such a creative and inspiring environment with really friendly and helpful owners. Whether you want to buy a book to help you make pom-poms or a macrame pot holder to taking one of their excellent creative craft classes. I think it's a winner all day long! The best haberdashers in the south! brillant passion behind this Forest Hill shop! An amazing shop, full of treasures. Its had a big re-fit recently and there are new displays galore. A must visit place for presents! A lovely environment to be in. I could spend hours in there, there is so much to look at and be inspired by. The staff are friendly and very knowledgable and have saved my knitting on a few occasions! A truly local shop for anyone interested in crafting. A warm welcome and a helping hand are so important, especially for a beginner, and such a fascinating assortment of fabrics and yarns will guarantee to keep not just the crochet lovers hooked! For all things craft. Extremely knowledgeable, friendly staff. If they don't have the solution or can't do it they know someone local who will! A range of craft workshops for all levels and ages. Love this place! Not just a wonderful shop, but a venue too. Helpful staff and lovely range of craft products, plus some vintage items for sale too.